As expected, Huawei has today launched a new smartphone in the company’s ‘Enjoy’ series — Huawei Enjoy 9S in China. 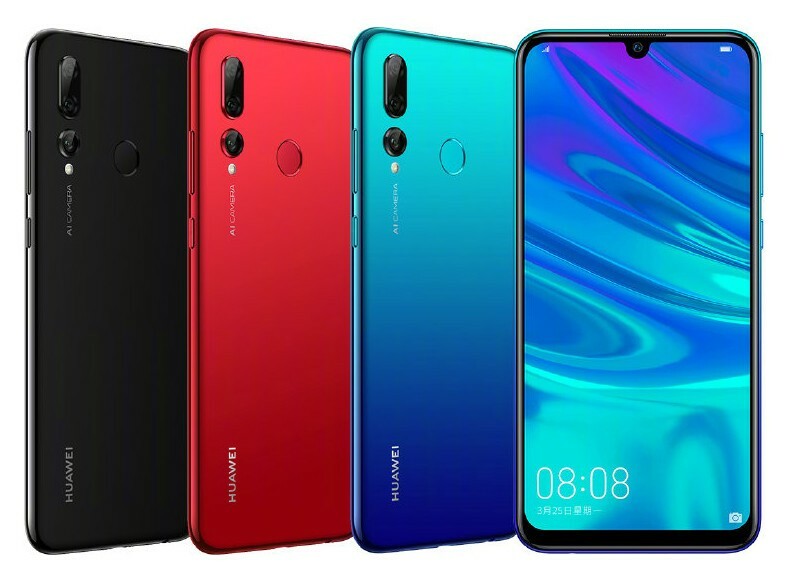 The smartphone is the China version of the Huawei P Smart+ 2019 that was launched earlier this month. The smartphone features a 6.21-inch Full HD+ display with 2340 x 1080 pixels screen resolution and a waterdrop notch. Under the hood, the device is powered by the company’s own Kirin 710 chipset, which is paired with 4 GB of RAM. It comes in two variants in terms of internal storage — 64 GB and 128 GB. There’s a microSD card slot, allowing users to further expand the storage capacity up to 512 GB. The company has upgraded the camera specs and the smartphone features an AI-powered triple rear camera setup, consisting of a 24 MP + 16 MP + 2 MP sensors. On the front side, it comes equipped with an 8 MP snapper for selfies and video calling. It has a rear-mounted fingerprint sensor and runs Android 9 Pie OS-based EMUI 9 out-of-the-box. Connectivity options on the device include Dual 4G VoLTE, Wi-Fi 802.11 ac (2.4GHz + 5GHz), Bluetooth 4.2 LE, GPS + GLONASS, and micro-USB. The phone is fuelled by a 3400 mAh battery.